Air Miles Rewards: Are Air Miles Rewards a Good Deal? 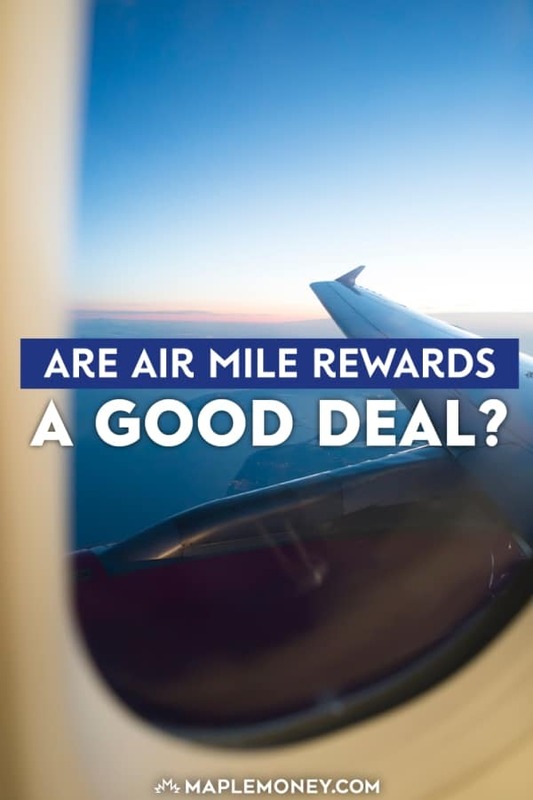 Are Air Miles Rewards a Good Deal? I’ve been collecting Air Miles rewards for many years now. To be honest, it’s not because I have done a bunch of research and determined it to be the best reward program. It’s simply out of complacency. I have not felt the need to make a change and have not had time to do the proper research. The plan is to go to Ottawa for a family vacation to partake in the Canada Day festivities. My wife’s family is all based in Ottawa and it’s been a few years since we have been there for a visit. The real reason we have not visited Ottawa is because we have 4 kids and flights for 6 is not a small ticket item for a frugal guy like me. It’s been easier to take driving holidays to the Okanagan or even down South to the US than to fly 6 people to Ottawa. To fly 6 people to Ottawa for Canada day is going to cost 19,800 miles plus $1334.16 in taxes. At first glance I thought this is not a good deal. To make things a little better, I have the BMO Air Miles World Mastercard which reduces the number of Air Miles to 14,850 (The taxes on the flights still stays the same). I then went to Westjet.com to look up the cost of the flight without using Air Miles. When I book the exact same flights the total cost of 6 flights from Edmonton to Ottawa was $3810.06 ($2988 for flight and $822.06 for taxes). If I take the $3810.06 and subtract the $1334.16 which Air Miles will charge me for taxes (not sure why it’s higher than the taxes Westjet charges but I may tackle that in another post), I figure the 14,850 air miles is saving me $2475.90. In my mind that means each Air Miles I collected is worth 16.7 cents ($2475.90 divided by 14,850 Air Miles). If I did not have the BMO Air Miles World Mastercard, then each Air Mile would only get me 12.5 cents. When I compare these items to my flight to Ottawa, I am getting good bang for my Air Miles at 16.7 cents compared to 10 to 12 cents. If I take the family to Ottawa in low season as opposed to high season, I would only have to use 11,250 Air Miles for the 6 tickets (Again, the taxes would cost the same). Flying in low season, my Air Miles are actually worth 27.4 cents each. It’s a great question so here’s the answer . . . How to get more AIR MILES rewards? I’ve been thinking about writing on the same topic for a while, so I’m interested to see your analysis. But my first question was the same as your wife’s. The rate of accumulation of Air Miles needs to be figured into the calculation. For instance, many standard Air Mile qualifying purchases only earn you 1 Air Mile for every $20 spent. So when Safeway offers a bonus of 100 Air Miles if you spend $100, that’s like spending $2,000! I’d be more inclined to calculate your “Air Miles ROI”, if you will, by taking the total cost saved by your Air Miles redemption and dividing it by the total cost of goods required to accumulate the redeemed Air Miles. I think you’ll find a result that is quite different than the one you calculated. We also use the RBC Visa Avion card and have been very pleased with the value of air travel redemption we get from that program. It’s coming next week Jay . . . we are on a similar page! “a complete waste of time, money and efforts”. Collected air miles for 10 years now. Tried to book my son flights summer and or Christmas from Boston MA to Halifax NS. Results sorry no flights. Tried to book flights to see me parents in Calgary Alberta, from Halifax NS; summer or Christmas. You guessed it none available. Really unhappy ail miles collector here! Think I am out of my mind you try it! The best I got was a flight from one way Halifax NS to Boston MA, 1500 air miles and $300 cash. Really come on that is what the flight costs! Air miles MasterCard waste of time. I totally agree with you it’s “a complete waste of time, money and efforts”. Very poor service from air miles and no good deals at all. I absolutely agree with the RBC Visa respondent. I have done extensive research on Airmiles programs and other Mileage programs. The Infinite Avion program is unquestionably the best value but you need to transfer your RBC INFINITE points to British Airways. Their USA travel program which gives you 50% more points when you transfer your RBC points to BA. Other partners like American and Alaska allow you to travel for 25,000 points and believe it or not there is only $30.00 taxes. Once you have transferred your RBC miles to British Airways you only need 50,000 points per person with their Partners Japan Airlines and Cathay Pacific. Taxes reasonable. Other programs like Aeroplan you would need 75,000 + plus miles and taxes are huge. The regular RBC miles program that is normally advertised only gives you &75.00 credit for every 5000 miles which usually means you end up paying like $300.00 to $400.00 plus 25,000 miles to. 35,000 miles to travel from Vancouver to Toronto. The positive about RBC program is there is no black outs. I book all my trips well in advance so booking for me is never an issue. If having blackouts is critical for you then the transferring to BA will not be as positive for you. I have used the BA Program to go to many places in the USA, China twice and the Eurasia twice. Transfer RBC miles to BA but do it early then you will save $1000.00’s of dollars. The BMO Airmiles will cost you many more $$$ than BA. 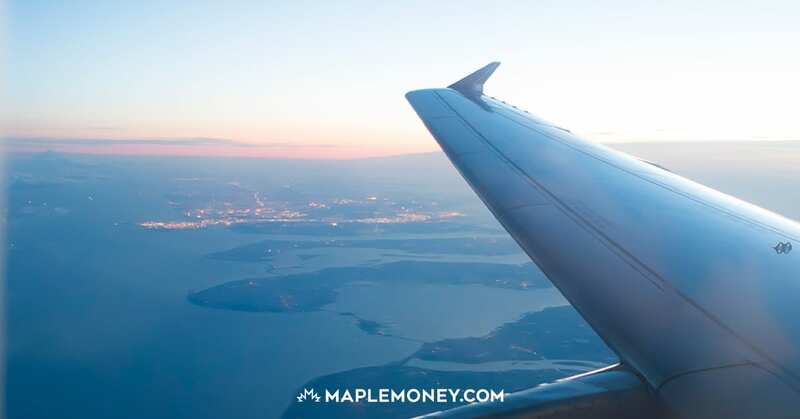 Example is you would have to spend $60,000 on your BMO Airmiles MASTERCARD vs 40,000 $$$ on your RBC Infinite Visa when you fly from Vancouver to Toronto. It is worth it to switch as you will save $$$10,000 over time. Personally I have sent my son’s family to Korea a number of times. Taxes very good with Japan airlines. After it is all said and done my personal feeling is the BMO is the weakest Airmiles program but have the best Marketing of all the programs thus many people use the program but have not evaluated the program against others. I have been an airmiles collector for many years and decided to use some of those airmiles for family flights to Florida. As it is low season, we can get a return ticket for 5000 air miles plus $234 in taxes. My daughter suggested that I check Redtag deals so I did so and was pleasantly surprised to find flights for C$453 inclusive of taxes. The best thing about the Redtag flights was that they didn’t leave or arrive in the early hours of the morning and they did not have long layovers in airports across the country. I am very disappointed with Airmiles, to me they are not worth the effort it takes to collect them. I have never been an collector air miles. I have always felt that you paid more for the items to which the air miles are attached. If you get double air miles for a product but you pay twice as much for the product where is the savings. Some credit cards also have annual fees. Seems to me to get so complicated so I have a credit card that gives me 1% cash back with no annual fees. I’ve been pretty consciously aware and I do not think you pay more for items when collecting Air miles. For example, I can purchase gas at Shell and gas there does not necessarily cost more than Petro Can or Esso. When I rent a car at Budget, I get Air Miles. When I shop around, if I get a much better deal somewhere else, I have to weigh how bad I want the air miles. Sometimes it make sense to take the points but sometimes it makes sense to get the deal. Next week, I will compare my Air Miles rewards to your 1% cash back based on my wife’s question . . .
$645 Edmonton to NYC round trip. I became a member of Lyoness about a year ago. It is a free International Rewards program and you can still use your air miles and aeroplan and credit cards to get their rewards. It’s still new to North America, but been around for 12 years now in Europe. I like that you can use it for day to day expenses at small to medium sized local merchants. I liked it so much that I now do business development with the company. It’s definitely worth your consideration! I think Air Miles are better used when flying outside of the country. Our liquor stores in Manitoba aggressively promote Air Miles so when I was planning socials/parties I was the guy buying the booze. It was awesome! I’m still cashing in those miles! I manage to rack up a lot of Aeroplan miles by putting business expenses on my credit card. I’ve found that the best way to get a good bang for the buck is to travel business class on points and take full advantage of the stopover and open-jaws privileges that Aeroplan allows. My wife and I recently travelled to Germany and Spain; I think the cost was about 160,000 points for the two of us. When I looked up the cost of the same ticket paying regular fare, it worked out to more than $8,000 apiece, if memory serves correctly. If my figures are right (and I’m reasonably sure they are), that works out to an ROI (as a previous poster called it) of about 10%. Some of the “travel on any airline, any time” credit cards I’ve seen limit the total of the free portion of the ticket to $1,200. Travelling business class, Aeroplan does provide good value, although seats are becoming increasingly difficult to book. Thanks for sharing Aeroplan guy. I’ve got some Aeroplan points from flying but don’t seem to accumulate points too fast because I don’t collect Aerorplan points any other way. Calculating the ROI is al well in good if you can use the miles the way you want. I have collected over 200,000 Aeroplan miles by credit card and travel and I am having a hard time redeeming to get a worthwhile ROI. If I could actually book two flights from Halifax to Phoenix for 60,000 points as advertised it would be great. But in order to get there in 24 hours and not have to take 4 connections they want me to use all my points. I am not talking last minute either, this is trying to book more than 6 months in advance. If I splurge and try and fly business class for 100,000 points they will never give me business class the whole way. I think Aeroplan is a complete scam. I switched to the Aventura credit card and find better value, but now I never have the option to fly business. My wife and I usually travel to Europe every 2-3 years. We both use the BMO mastercard which for a fee of some $100.00 a year provides us one air mile per each $15.00 spent and a 25% reduction in the number of air miles needed per flight.I find this an excellent reward promotion but with one exception – don’t use cash to top up if you have insuficient miles needed for the flight. Better to keep the miles in your account and pay cash for the whole flight. I have found the redemption value of points for travel to be highly variable. A point can have a very low monetary value depending on the destination. I went to Texas in January and got very good value. If I had flown to New Orleans, the next state over, not a good deal at all. That said, going to Buenos Aires last January was a complete nightmare. It was possible to go to Buenos Aires on Airmiles, but not return (no matter the date chosen) unless you purchased a hotel package of 4 days. Annoyed I flew to BA on Airmiles and returned on Aeroplan. My spouse purchased a seat sale. You say WestJet costs “…$3810.06 ($1992 for flight and $822.06 for taxes).” Which number is correct? If it is the lower amounts in brackets then your airmiles are worth 10-cents which is consistent with other rewards. Thanks for pointing out the typo. $822.06 is correct but it does not affect the calculation because the $3810.06 figure is correct and the $1334.16 Air Miles wants to charge me for taxes is also correct. There may be a flaw in your low season calc above. You used the lower Airmiles required, but likely the cash price would be lower (than the high season price)as well. That might be correct but I did not price the low season cost of flights. My guess is low season prices would not drop by 15% to 20%. I could be wrong but I think flying in low season is advantageous from a mathematical perspective. We thought we received excellent value for the redemption of Air Miles towards two tickets to Chile until we showed up at the airport on the date of our departure (as supported by a Virtually There itinerary received several days beforehand) and they had no record of our booking on a flight which was completely booked. Perhaps the stress factor should also be built into your calculations? Wow, that is such an awful outcome. I am really sorry to hear that. I’m glad you let people know. I have never had that problem so it’s tough to build that into any calculations. Anyone else have that problem? Ok deal, except for paying $512.10 (extra taxes) in ‘surcharge’ for using your airmiles. This basically diminishes the value of your airmiles by ~3 cents ($512.10 / 14850). For the past 15 years, I’ve flown at least twice a year with AirMiles and haven’t had a single ticketing problem with the flights booked-problems with weather, but not with ticketing! I have used Air Miles for years with brief moments of success. That said it is a real crap shoot in my opinion. We live in an area where you must fly to Vancouver to fly elsewhere. That said, there is rarely tickets available for the trip you require. I tried to book a trip to Vancouver on multiple days during the days any between 20th and 30 th of the month. Nothing available at all to Vancouver, not at anytime at all. Smells like legal fraud to me, just saying’. Airmiles “Dream Rewards” basically for travel outside Canada, in my experience it’s a sham. Booking Winnipeg to Phoenix, immediately one gets an Airmiles quote for the trip. In addition the applet can give an option to select a special rate for travel on a promotional rate if booked before a given date and departure dates between a given range of dates. Well! The booking dates fell into my itinerary, so we are somewhat elated that we have more than enough Airmiles to pay for the trip, so, I proceed to the next part of the applet, “search for flights”. Surprise, “no flights available for the dates chosen”. So, back to the beginning, change dates; again “no flights available”. Hey! I’m booking two weeks in advance, with in the promotional dates window, and I try over and over again for all dates up to three weeks out, and then finally I get a flight. Wow! Four hours work in this and I get a flight. Price some high season rate of 3975 and I can select that promo rate. SuperWoW! I have enough miles to book both my son and my grandson to Phoenix. Search for a flight, Winnipeg to Phoenix on Expedia, for dates that are more convenient for my son. Price, tax in $421.00 per seat. Now! with Airmiles, the taxes alone $410 or so plus the Airmiles per seat. At the next higher price on Expedia $560 all in the saving in a mere $120 and I can’t travel on the dates I need, because no flights available. So, we try booking to “an alternate airport”. For example I tried booking to San Diego. 3975 Airmiles, promo available. Running the gauntlet of “no flights available” date change after date change. Finally a flight. Surprise yet to come. You guessed it the price for taxes, plus airmiles, almost equals the cash price if bought outright with no Airmiles. Then tried booking to Chicago, same results “no flights available”, repeat again and again. Then tried a booking to Denver. Same issue. Got a hold of the online chat help person. A good hearted soul who did her best. But, the system is sabotaging every option this poor girl can suggest. How can she help when the complete cash price of the ticket is almost the same as the taxes charged by Airmiles? So, that dream now dashed and at least eight hours spent at this, I try to book another “dream rewards” flight, Regina to Mumbai for a September flight. Should be no problem considering I am booking months in advance. No surprise this time. Yes, the quote says I have enough Airmiles, so, proceed to search for flights. I’m not surprised now at the response this time; you guessed it: “no flights available on dates you have selected”. So, we change the dates, the months, and finally, after an hour of hacking at this thing, surprise, a flight is available. It’s available but the return is restricted to a short window from the arrival date. I want a three month stay not just a couple of weeks. Hey! This is my “dream rewards” trip that I have been saving ten years for. Don’t I get to go when I want to go and/or return on the dates I want? The answer is an unequivocal “no”. I get to go when they tell me I can go and I must return when they tell me I can. And furthermore, the taxes add up to over $700 plus 8475 miles “low season departure”. That’s for a flight that cash price total on dates I want, is $1626.00 all taxes in and I can get the flight when I want to go and return on the dates I select. So, using a previous posts calculations; what is the value of Airmiles? $.01 per airmile to about $.10 at the best. Now, if you thought this was the end of the story, I didn’t give up. Now wouldn’t a trip to Bali in Indonesia be a great idea for a September “dream trip”? Well! You guessed it “Sorry airmiles does not offer..” So, lets look at if we leave from Vancouver, or Toronto, or if we go to Singapore or Japan. Isn’t this supposed to be MY “dream rewards” trip. Conclusion after hours of working with this; is this is a scam? Good for purchasing some little bauble you really don’t need. But, for travel. What is your time worth and what is your peace of mind worth? Didn’t stop there though, I emailed the airmiles site asking them to generate a travel itinerary for any date in September leaving from any Western airport in Canada. Now that shouldn’t be a tough job for the designers of this dumb applet? The response was a prompt, probably computer generated response directing me to try everything I’ve already spent hours doing. Plus, they suggest I sign up for Facebook. I’ve responded, maybe a human will show some life here and kick in a good solution. Best to get a president’s choice black mastercard and get free groceries every month, with no yearly fee. I can do my own shopping for tickets. Thank you very much. All point programs are pyramid schemes. Only the ones at the very top benefit. RIGHT ON!!! EMILIO. They are ABUSIVE, DECEPTIVE, and should be ILLEGAL!!!!! Agree, PC points much better. I don’t know if this analysis is entirely accurate. To be fair what you would need to do is not just compare your other purchases but also compare other flights and the time spent, mental math, and potential for your points to be inflated away. This suggests that perhaps a best case scenario is 10% (referring to another comment) if you can easily be consistent with your carrier (consistently fly on a carriers cheap routes) but for most of us, that’s much less likely and perhaps even negative. Sobeys will give you $10 off groceries for every 95 airmiles. They give you an airmile for every $20 you spens. Therefore you need to spend $1900 to get your $10 off, which is 0.5% discount. Hardly worth it. Check the FACTS people…. over a THIRD of YOUR hard-earned money will end up in the pockets of the plans’ operators and NOT in your bank account! If that’s a «good deal» I’d hate to see a «bad» one. I don’t take ANY flights, and the AirMiles cash-versus-«rewards» coercion is DISGUSTING. So, I really resent that MY purchase prices are inflated to pay for YOUR trips. I’ve been on hold with Air Miles for 1 hour and 18 minutes as I write this. I am a long time collector of a variety of frequent flyer programs, and in general I find Air Miles to have the poorest value and the worst customer service. Be aware about AIR MILES program. Member since 1999, very patient not to use points till special moment. When it comes – just to realize that dream is not coming true. 7690 miles gone on Dec 06 2015. Where? Air miles took it away since there was nor activities in 2 years. When discussed with number of clerks and manager – Claudet (who sounds actually as a nice person) just got the answer that it is possible to reinstate account, but there is a fee 15 cents per mile which would turn to $1,153.50. I don’t know how to call it – nonsense or absurd as if I would use those points for Transat vacation it would give me about $1,000.00 discount. Upgrade your MasterCard to the World Elete card. One Air Mile per $10 spent. Also, Sobey’s sometimes offers 50 air miles for $200 in gift cards. Buy $1,000 in gift cards and get 250 AMs. You still have your investment to spend on groceries, some with air miles specials etc. lots of ways to maximize collecting. She’ll gas stations will have 5 or 10 times offers as well. Use the Master Card World Elete and can’t go wrong. Air miles will not be deducted because of age without you being notified first. Keep your profile current. There is an app and web site to check if you have any air miles nearing age restrictions within the current year. Alicher — I have the same experience. My miles were taken away due to inactivity — I say STOLEN. I can’t find a date on this page so I don’t know when you wrote. I had a long talk with agent today. I was polite but told her she works for a despicable company. They say it’s impossible to reinstate points. I said you are not robots and the points have not been destroyed with a weapon. They are MY points that I collected as a faithful user. How can they get away with this? Indeed you were robbed and there is nothing you can do about it. Well, maybe there is something..
Write letters of complaint to the managers of the stores in which you earned the air miles and tell them of the crime. They paid Air-Miles for every point that belonged to you.. Imagine if the bank decided that if your account was inactive that your money now became theirs. If they wanted to close your account, they should have sent you a check with the cash value of your miles. Thanks Brian — that’s one aspect I had never considered — that the points were PAID for. I will look into that. I have now achieved onyx status with Airmiles and therefore, do not have to worry about expiring miles, long waits on the phone & several other perks…..you get this by racking up 6000 AM per year. I have flown to Switzerland, Africa, UK and taken a cruise with my 2 kids. I could never have dreamed of these trips without AirMiles. I also get some of my hotels for free (no taxes usually for those) and have also redeemed for a Wii for the kids and other Christmas gifts. I can’t praise this plan enough. By the way, if you don’t use the American Express and/or AM Mastercard, you are losing out on alot of miles. Also, I changed my bank to BMO for further monthly points. When grocery shopping (we have Safeway here in Manitoba and Sobey’s) always go for the items with big AM bonuses and 1st Tuesday at Safeway is 20x the miles on your grocery purchase. Even if I don’t need paper towel, if it’s going for an additional 50AM I buy it….and 90% of the time the item is on sale along with the AM bonus! You spend $20 to get 1 air mile. So you have to spend 95 x $20 to get a $10 reward. or for every $190 you spend you’ll get a $1 reward, that’s almost a half of a percent. Then, add insult to injury when you try to redeem the miles.. The absolute worst late night flights or overpriced outdated junk from their online store. Air miles is pure garbage, don’t waste your time. There are much better options. Yes, air miles is completely garbage. Every time I had some problem, I have to to spend half a day to call them. Once I waited 3 bloody hours and still no agent picked up my phone! There is not good deals at all, flights, products, service…the price in the store sometimes is much better. It’s a total waste of time and efforts, it adds you burden but no bonus. Useless card with no value whatsover. A waste of ones’s time!!!! To merge the points on two cards by the same member, one has to pay 15 cents per mile!!!! A joke of a card! WOW….nobody really seems to get that you need to look for bonus points and multiple ways to get airmiles. 1 mile for 20 spent will take forever but there are so many other ways to accumulate as I said in another post above. The worst are Shell, Staples and the Liquor Mart that are only 1 in $30/$40 spent. You’ll never earn enough even in a year with multiple cards for anything worthwhile. Once again….you must jump on all the ways to make big bonus miles. I shopped today and got 95 miles for $95 spent. This offer constantly runs at my local Safeway. If you don’t put in some effort, you’ll never see results….and once you get the hang of it, you will be racking up miles in no time. My 20 year old daughter got her first AM card less than 2 years ago and has already used it for a flight from Manitoba to Toronto. It can be done!! maybe I didn’t put as much effort as you are collecting air miles.In the same time I was in no hurry to spend it in order to get in the end something really meaningful for me. As luck would have me, just a week before Christmas when I decided to use them AM confiscated more than 7000 miles without any warning. Absurd didn’t stop there. They offered to reinstate my miles – seven thousand airmiles with cash value about $1,000.00 if I pay $0.15 per mile. Make a math. By the way, if you receive(d) bonus air miles directly from them you know where they may come from. Can someone tell me if we were given notice when our air miles were converted to dream miles? I am a senior who has 650 dream miles that I will loose if I do not use them by June 2017. The dream rewards. Catalogue. Has prices inflated by 100 per cent, and not worth ones while. I have now converted my future option to airmiles. Did not know that the dream miles were in my account. Carrying a airmiles card is extra weight in the wallet and has a place in the waste paper basket. Consumers should boycott stores offering airmiles, for the way we are treated. I’ve been using airmiles for more than a decade and there were only dream miles back then. Several years ago you could change to cash miles exclusively but already accumulated dream miles stayed in your account….it was only from that point on that you could get cash miles or choose your percentage like 50/50. A class action law suite has been launched against Air-miles from Calgary. My thought is to boycott the companies that offer Air-miles. Let those companies know that you are boycotting them because of the Air-miles scam and let them put the pressure on to Air-miles to do the right thing. Airmiles are useless unless you travel all the time or have a small business with lots of card purchases.
. I recently checked airfare at a few airlines website and found some of the same flights on the same airlines were 20 percent higher than Expedia. You can’t use your points or airmiles on Expedia so you have to book through the the airlines website paying about $600 more dollars for family of four on a $500 flight. So you get a $400 discount on the airlines website using your points or miles but end up paying $600 more for the same flight. You just paid $200 more than the person who booked a flight on Expedia, kayak etc. Now if you spend $60,000 a year on your card and get tons of points and end up saving $700 using your points it may be worth it. On Sep 23,2016 I ordered Tivoli The Model One Bluetooth Table Radio for 2600 reward miles. But got nothing. So I checked my profile, it just said unavailable. So I tried to browse to purchase other items. All the items that listed are more expensive than many places plus you need to use your air miles points and pay extra. I feel air miles is a scam. For grocery shopping I get 1mile for $20, it takes a long time to collect a decent number. 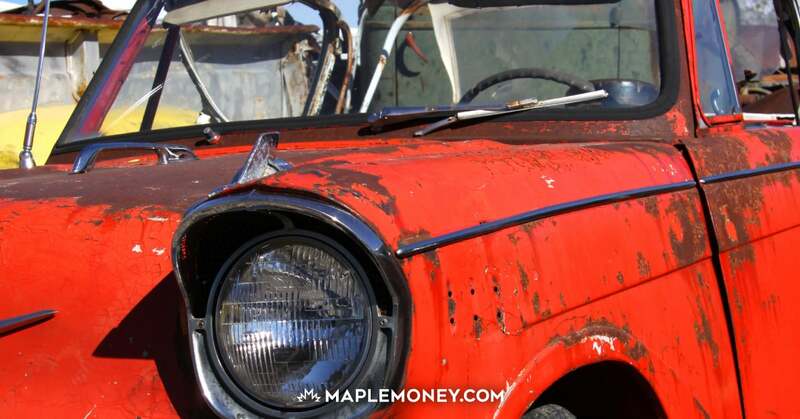 I had 664 miles than the airmiles split into cash 100 and dream 564 without my authorization. Than the bad news came that one need to use miles older than 5 years or will expire by end of this year. I converted 100 miles for groceries, that was useful, what about the 564 dream miles, not much choice. Goods listed on their site are more expensive then purchased directly in a store without rewards. I’m not fun of games,or Toronto restaurant coupons since I don’t live there. The only other choice rather than expire and fill pocket of Airmiles executives was to spend on sweepstakes. Sure, I won’t get anything out of this at least won’t go to a greedy Airmiles pockets. Get aeroplan rewards, which are superior and I did travel twice overseas on collected reward points.  As for airmiles get only cash account.